Mexico is our first stop on our culinary tour. We all pitched in to prepare the dinner. Jon and John worked on the meat and vegetables for the fajitas and I made the beans and rice. 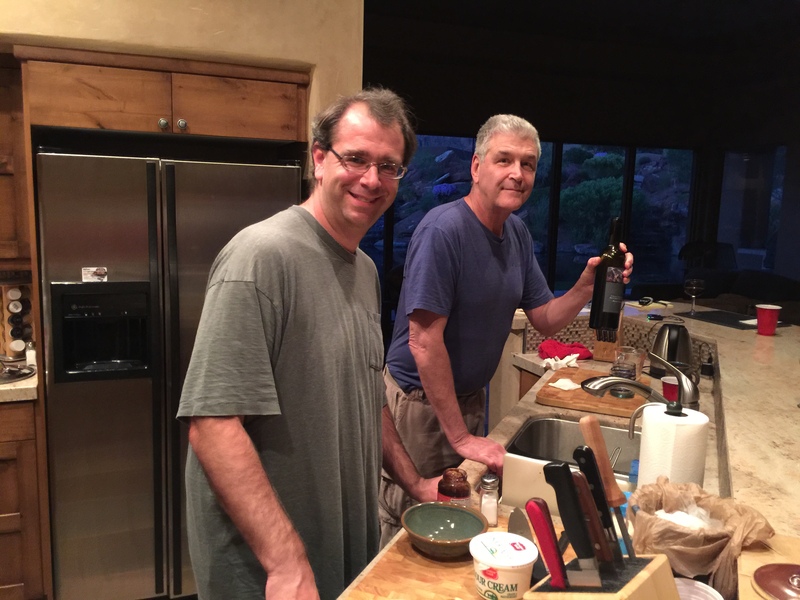 Here’s my two favorite guys in the kitchen. We used boneless skinless chicken thighs sliced into strips. We bought a packet of fajita mix because I wasn’t sure I had all the spices in the house. I mixed the black beans with a little of the juice from a can of Rotel and some of the vegetables. The rest of the liquid from the Rotel went into the cooking liquid of the rice. Jon mixed up a tasty spread of sour cream and chipotles in adobo. Yum, what a great dinner! 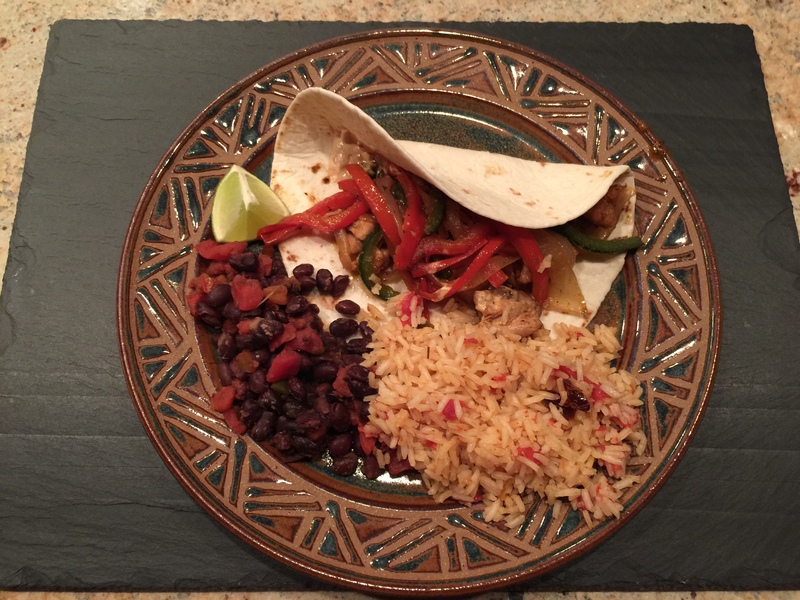 This entry was posted in Legumes, Poultry, rice, Uncategorized, Vegetables and tagged black beans, chicken, chicken fajitas, Fajitas, Mexican rice. Bookmark the permalink.